Providing the theoretical and practical basis for using sports massage to help athletes stay in shape, recover from injuries and improve performance, the course text also includes approaches for conducting an effective sports massage program in various settings. Massage techniques that can be applied for warm-ups, to prepare for and recover from competition, to reduce the potential for injuries and to aid in injury rehabilitation are introduced. The program-development portion of the course text provides practitioners with detailed advice from the authors, who are well respected for their expertise and program-development skills. They address how to implement sports massage programs in various settings and how sports massage specialists cooperate with other sport and health professionals to provide the best possible care for athletes. The course was very informative and you get a better understanding of sports massage. Clear and to the point. 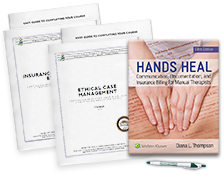 Excellent material to glean from for massage therapist. I was already a little familiar with some of the content, but it was a helpful review. I enjoyed learning new aspects of sports massage and the history and theory behind the techniques. 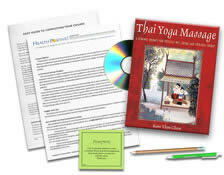 I plan to use what I learned in this course in my massage practice as well as in my own self care routine. I took my time to really read and absorb the material. I know it will be very helpful to my career as a massage therapist. For me, having three kids that are all in school and dealing with everyday life, this course made it easy for me to work, deal with kids, juggle daily life and still have some time left to read this course. It's great to learn new things as well as reviewing material you already know. Thanks! The course was professionally presented. By taking it, I have gained new and interesting insight into the application and evaluations involved in effectively performing sports massage. Loved it! I loved this course and learned a lot of new techniques I can use in my practice. I do enjoy taking home studies because it saves me time traveling and money because I do not have to close my spa and I can still get the satisfaction of learning and keeping up with my CEU’s. I have had sports massage on my radar as one of the courses I have wanted to take. So glad I did! As I read this book, I was able to apply some of the techniques to the massages I have given over the last eleven days. I intend to reread this book and dedicate a lot of what this book as taught me to memory. 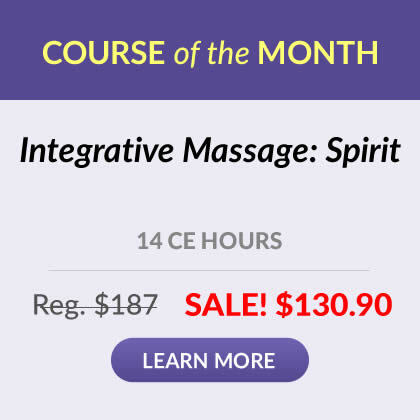 This course exceeded my expections and one of the most useful courses that I can start using new techniques right away in my practice. Loved the book! Learned a lot. Really enjoyed the book! Thanks. I enjoyed the course and it was helpful as I did not have the time to take a hands on class this year. Great text!!! Will share with my fellow therapists!! This course was and is very to the point and it gives another great text to refer to. I have gained new information to share with my clients and to help them but to help myself in my athletic endeavors! This course is very detailed and helpful. Great course! Learned some new information, thanks! I thought it was wonderful. I have such excitement to use this on my clients who are athletes. It was a great course. I found the text very easy to understand. I think this course will deffently will help me in my field.. Thank YOu! 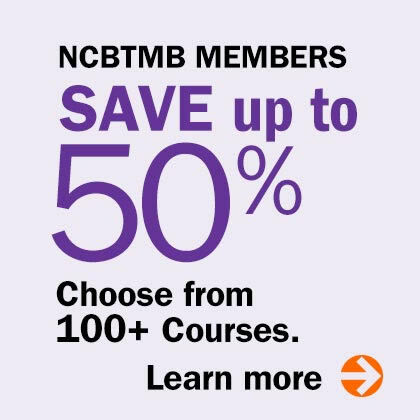 Great course w/very useful and timely info. I will be using many of these techniques in my practice. Very good text and specific in details. A great course. The material was clear and concise. Excellent course. Learned some valuable information to use in my practice. The text was easy to understand and well presented in an way that I can apply the techniques to my practice and be able to better help my clients who are athletes. This was my favorite class your company offers. Thank you so much for offering this service it is practical and convenience!!!!! Great course, great book, I learned alot! Excellent overview of the topic. I liked the layout of the text. It was easy to read and understand. The photographs were very helpful. I enjoyed this course and am looking forward to the next one.